Inverter duty and vector duty describe a class of AC induction motors that are specifically designed for use with frequency inverter. The high switching frequencies and fast voltage rise times of frequency inverters can produce high voltage peaks in the windings of standard AC motors that exceed their insulation break down voltage. Also, operating motors for an extended time at low motor rpm reduces the flow of cooling air, which results in an increase in temperature. 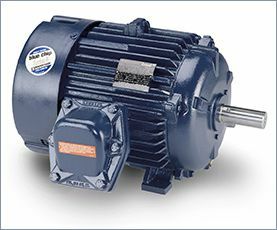 NEMA-rated inverter- or vector-duty motors use high-temperature insulating materials that can withstand higher voltage spikes and operating temperatures. This reduces the stress on the insulation system. 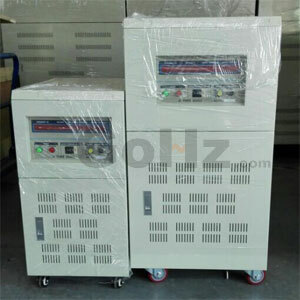 Frequency inverter variable loads such as pumps, hydraulic systems, and fans. In these applications, motor efficiency is often poor due to operation at low loads and can be improved by using a frequency inverter in place of speed controllers such as belts and pulleys, throttle valves, fan dampers, and magnetic clutches. E.g., a pump or fan, controlled by a frequency inverter, running at half-speed consumes only one-eighth of the energy com pared to one running at full speed, resulting in consider able energy savings. Unlike other types of single-phase motors, shaded-pole motors have only one main winding and no start winding or switch. As in other induction motors, the rotating part is a squirrel-cage rotor. Starting is by means of a design that uses a continuous copper loop around a small portion of each motor pole. Currents in this copper loop delay the phase of magnetic flux in that part of the pole enough to provide a rotating field. This rotating field effect produces a very low starting torque compared to other classes of single-phase motors. Although direction of rotation is not normally reversible, some shaded-pole motors are wound with two main windings that reverse the direction of the field. Slip in the shaded-pole motor is not a problem, as the current in the stator is not controlled by a counter-voltage determined by rotor speed, as in other types of single-phase motors. 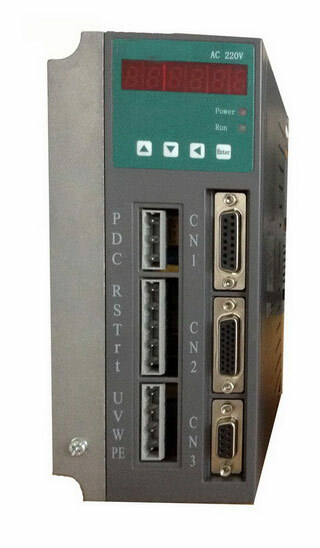 Speed can therefore be controlled merely by varying voltage, or through a multitap winding.